Access all information on Agile Content published in digital or written media. All news are published on the original language of the articles. Agile Content, a technological enterprise, specialized in audiovisual content management and bigdata for audience segmentation, has signed an agreement with the American group UUX Holding Company in which it purchases their Over-The-Top, trough the acquisition of 100% of the three corporations that distribute this service, with headquarters in Austin (EEUU), Sao Paulo (Brazil), and Madrid. The societies are: Over The Top Networks International INC, Over The Top Networks SA, and Over The Top Networks Ibérica SL, respectively, from now on referenced together as OTTN. 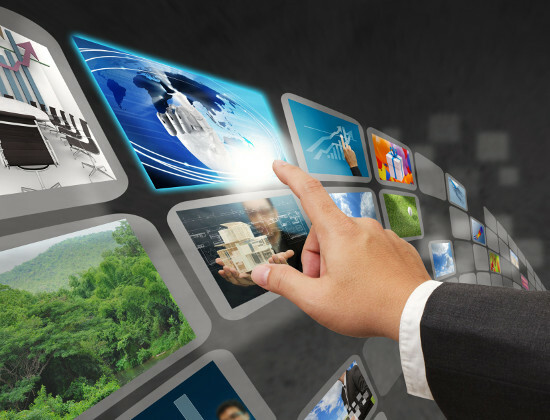 OTTN develops technology for Pay-TV platforms, that allows telecom operators and media groups to offer a new television viewing experience through the consumption of on-demand video, by means of recordings and live TV from any device. With a robust and proven solution, with millions of active clients in the world, it provides services to customers such as Telefónica, DirecTV, Sky or NET, among other, with operations in the U.S.A., Latin America and Europe. Financially, OTTN reached a turnover of 7.5 million dollars in 2015, being a debt-free group and with recurring contracts that guarantee the cash flow generation on the mid-term. It is a strategic operation for Agile, that considers that the growth of the consumption of video on-demand and personalized TV are modifying the advertising environment and the way we watch TV. The technological combination between Agile Content and OTTN will enable the companies to offer for TV the solutions for advertising optimization and segmentation that are already being successful on the internet. According to a recent study, the Pay-TV services represent a great business opportunity, with a potential market of 17 billion dollars in 2017. The operation is valued at 7.9 million dollars plus a variable tranche subject to the compliance on OTTN aide of certain financial variables, concerning the financial year 2016. The settlement of the price contemplates a mix of cash payment (5 million dollars, in two due dates; one in the initial stage and the other one 12 months after) and a part of the capital increase by credit compensation through the issuance of new shares of Agile Content corresponding to the remaining part. This way, Grupo Salinas, as well as two of the main executives of the OTTN, will become key shareholders in AGILE, assuming a commitment to remain in the company as a way of showing their support for the resulting enterprise, participating as well in the Administrative Board with the appointment of one board member, once the operation is completed. Grupo Salinas, one of Mexico&apos;s main corporations, is the owner of one of the main Hispanic media conglomerates, that includes TV Azteca, and becomes a partner of great relevance for Agile Contents business and the development of the company. All of the executive team of OTTN, with professionals with great experience and track record in the field, will be incorporated into the AGILE group, to guarantee both the continuity as well as the effective integration of the operations. The two main executives will progressively move into global positions of the Group: Ricardo Cidale, current CEO of UUX, who has held executive positions in enterprises such as RealNetworks, Dell or Compaq in the past, will take on the position of Chief Commercial Officer (CCO) on the AGILE group, contributing to business development from the U.S.A.; Reynaldo Fagundes, current COO of UUX, with great experience in the management of technological teams and in software development, will take on the position of Chief Technology Officer (CTO) on the group. Agile Content is a technological company that offers in-cloud solution to media companies, telecom enterprises and other corporations. Its solutions, focused on the transformation of business to digital, allow business to create, publish, and monetize contents and audiences. In November 2016, it debuted in the MAB, with an capital increase that was an answer to the plans of deep internationalization that Agile Content has, since it already has a strong presence in the Latin American market through various subsidiaries, that it now boosts with this operation. With this acquisition, AGILE goes one step further in its solution of video and audience monetization, by integrating advanced services on linear TV and OTT for Pay-TV. Thus, AGILE strengthens the competitive position of its video management solution as the only European company mentioned by Gartner in its 2015 report, among other 15 solutions worldwide. - ADQUISICIÓN/ La tecnológica catalana toma el 100% de tres sociedades de UUX Holding Company y se refuerza en el negocio de la televisión de pago. Grupo Salinas será el tercer accionista de la cotizada. El salto al parqué en noviembre ha dado aire a Agile Content, que acaba de cerrar su primera compra como cotizada del Mercado Alternativo Bursátil (MAB). La compañía de software, dedicada al desarrollo de soluciones tecnológicas para la gestión de contenido audiovisual y big data de audiencia, ha adquirido a UUX Holding Company el 100% de Over The Top Networks (OTTN), su negocio tecnológico vinculado a la televisión de pago por 7,9 millones de euros (6,92 millones de euros al cambio de ayer). Con una capitalización bursátil de 14 millones de euros, un 17% menos que cuando salió a Bolsa, Agile Content ha tomado el control de las sociedades Over The Top Networks International (EEUU); Over The Top Networks (Brasil), y Over The Top Networks Iberica, en España. Con 80 empleados en todo el mundo, OTTN cerró el pasado ejercicio con un volumen de negocio de 7,5 millones de dólares (6,57 millones de euros). Para Agile Content, ésta es una nueva adquisición internacional después de entrar en octubre de 2015 en la finlandesa Enreach, de la que tomará la mayoría a medio plazo; y Hernán Scapusio y Mónica Rayo fundaron Agile Content en Barcelona hace nueve años. elevar al 100% su participación en Agile Brasil. La tecnológica de Barcelona, fundada por Hernán Scapusio y Mónica Rayo en 2007, facturó 8,3 millones en 2015, un 4,78% más que en 2014, con unas pérdidas de 1,33 millones. Scapusio no quiere hacer previsiones, pero afirma que la compra será “un salto adelanto en el incremento de la facturación y del ebitda”. Entre los clientes de Agile figuran Telefónica, Globo o Sky. Creada por Reynaldo Fagundes y Ricardo Cidale en Austin (Texas), OTTN también tiene oficina en Sao Paulo y en Madrid. El principal accionista de UUX Holding Company es el grupo mexicano Salinas –presidido por Ricardo Salinas–, que es propietario de Televisión Azteca, Grupo Elektra, Banco Azteka, Italika y Totalplay, entre otras empresas. La familia Salinas está considerada, según Forbes, como una de las diez fortunas más ricas de México. El hólding empresarial vendió la firma de telecomunicaciones Lusacell a AT&T en 2015. Parte de la compra de OTTN se saldará en efectivo con el pago de cinco millones de dólares en dos vencimientos, el primero ahora y el segundo en doce meses. El resto se completará a través de un intercambio de acciones por el que Reynaldo Fagundes, Ricardo Cidale y Grupo Salinas entrarán en el accionariado de Agile. Salinas podría ser el tercer accionista de Agile, según Scapusio que, junto a Rayo controla el 40,37% a través de Knowkers Consulting & Investments. El segundo accionista es Inveready, seguido de Fides Capital y otros inversores, como el ICF. Agile cerró ayer en el MAB a 1,54 euros por acción, sin cambios respeto al viernes. Agile Content, the only European company in the Gartner Magic Quadrant for Enterprise Video Content. Placed in the highest position in 'Completeness of Vision' among niche players. Agile Content has been included for the second year in the Gartner’s report with its Multimedia Content Management Platform, which allows processing, management, distribution and measure of any audiovisual content in any device. In its report, Gartner analyzes 18 enterprises and Agile is the only European Company in the quadrant. Gartner rates vendors upon two criteria: completeness of vision and ability to execute. According to the 2015 evaluation, Agile has improve its completeness of vision having a better performance in innovation, strategy and market understanding. The company provides technology, new content formats and value added services to the industries based on content and knowledge. Agile Content's mission is to increase effectiveness of digital strategies and communication. *Gartner, Magic Quadrant for Enterprise Video Content Management, Whit Andrews and Adam Preset, November 30, 2015. With years of experience in the industries based on content and knowledge, Agile Content provides a platform for multimedia content management and delivery. Agile Content has been developing solutions to improve communication processes based on audiovisual content and to transform the way people communicate. Agile Content, empresa tecnológica especializada en gestión de contenido audiovisual y bigdata para segmentación de audiencias, ha iniciado hoy su andadura bursátil debutando en el MAB. El tradicional acto de toque de campana ha tenido lugar en la Bolsa de Barcelona por parte de los socios fundadores de la compañía, Mónica Rayo y Hernán Scapusio. Con una capitalización de 17 millones de euros, este inicio de cotización se da tras la colocación privada de 5,3M€ que tuvo lugar en agosto, y responde a la estrategia de crecimiento internacional en la que se encuentra sumida la compañía, que ya tiene una fuerte presencia en el mercado latinoamericano. Actualmente Agile Content es una empresa que combina una inmejorable situación financiera con un posicionamiento a nivel nacional e internacional que le permite aprovechar todos sus recursos para beneficiarse de las oportunidades que brinda el mercado, todo ello con una clara vocación de consolidación en el nicho en el que opera. En palabras del CEO de Agile Content, Hernán Scapusio, 'tenemos una oportunidad inmensa por delante: la evolución de los móviles, el vídeo, el bigdata y la publicidad. Contamos con tecnología para capitalizar este contexto de transformación digital y generar valor para nuestros clientes y accionistas'. Por su parte, Mónica Rayo, socia fundadora de Agile Content ha considerado en el parqué barcelonés que 'la historia de nuestra compañía ha observado un crecimiento vertiginoso, y ahora la salida al MAB nos proporcionará la potencia financiera que nos permitirá impulsar nuestro crecimiento y expansión internacional'. 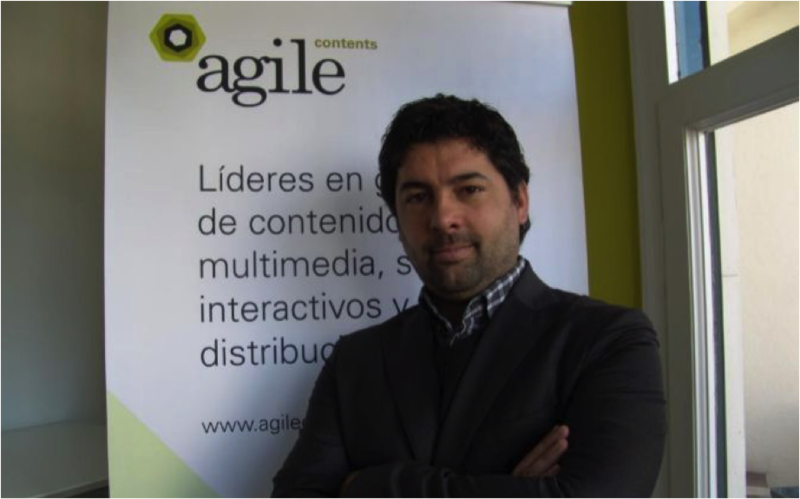 Agile Content incorporará al mercado 8.989.739 acciones a un precio de 1,87 euros, y los socios fundadores de la compañía mantendrán el 40,37% del capital, mientras que otros accionistas significativos son Inveready con un 15,70% y Fides Capital con un 5,82%, ambos presentes en la compañía desde el 2009. Para la salida al MAB la compañía cuenta con Norgestión como Asesor Registrado, BDO como firma de auditoría e Inversis Banco como Proveedor de Liquidez. La colocación privada, por su parte, fue de la mano de Andbank. Agile Content es una multinacional española especializada en soluciones para la gestión de contenido audiovisual y bigdata de audiencias, cuyo liderazgo tecnológico y potencial de crecimiento han sido mundialmente reconocidos. Fundada en 2007, Agile Content dispone de un amplio expertise en el actual entorno de digitalización y su tecnología cubre todo el ciclo de vida de los contenidos multimedia, facilitando su distribución a cualquier destino desde móvil, redes sociales y websites. Agile Content ofrece sus servicios en más de diez países, y en 2014 alcanzó unas ventas de 8 millones de euros, lo que supuso un aumento del 45% interanual. Agile Content, empresa tecnológica especializada en gestión de contenido audiovisual y bigdata para segmentación de audiencias, comenzará a cotizar en el Mercado Alternativo Bursátilel próximo 23 de noviembrecon una capitalización de 17 millones de euros y se incorporará al segmento de Empresas en Expansión. El acto de apertura del valor al mercado, programado para las 12.00 horas, estará presidido por elSr. Hernán Scapusioy laSra. Mónica Rayo, socios fundadores de la compañía. A continuación se servirá un cóctel. En el debut bursátil de Agile Content se incorporarán al mercado 8.989.739 acciones a un precio de 1,87 euros, tras la última ampliación de capital por importe de 5,3 M€ que la compañía finalizó en agosto. Barcelona, 18th of November, 2015.- Agile Content, technological company specialized in audiovisual content management and bigdata for audience segmentation, will be listed in the Mercado Alternativo Bursátil the 23rd of November, with a capitalization of 17 million euros, after ) having the Coordination and Incorporations Committee of the Alternative Stock Exchange Market submit to the MAB’s Administrative Board a positive assessment report on the fulfilment by Agile Content of the incorporation requirements to the growing companies segment. In its debut in the Stock Market, 8.989.739 shares will be incorporated into the market at a price point of 1.87 euros, after the latest capital increase of 5.3 million euro that the company finalized in August. After that increase, in which Andbank acted as the placing bank, allowed the company to expand its shareholder base with 80 new investors that will hold 31% of the share participation in the company. The rest of the is located in the hands of the founding partners of Agile Content, Hernán Scapusio and Mónica Rayo, that hold 40.37% of the capital through the corporation Knowkers Consulting & Investments. Other core shareholders are Inveready with 15.7% of the shares and Fides Capital with 5.82% of the shares, both have been present in the company since 2009. For the listing in the MAB, the company relies on Norgestión as nominated advisor, BDO as audit firm and Inversis Banco as liquidity provider. The Company will allocate 0.3 million euros and its equivalent in shares to such contract. Hernan Scapusio considers that 'he entry of new partners and posterior listing in the alternative market will allow us to accelerate the development of our innovation and growth strategy, enabling us to take advantage of the opportunities of acquisitions that we have already spotted in the market, as well as to reach a greater visibility and positioning of the brand in a commercial level '. The capital increase and the listing in the MAB are mainly due to the plans of deep internationalization that Agile Content has, since it already holds a strong presence in the Latin American market through various subsidiaries. Currently the Company, of great multinational profile, is completing the acquisition of an additional 45% of the Finnish company Enreach, in which it landed last August acquiring 6% of the firm. Both companies formalized a Joint Venture in the U.S., with which Agile Content has improved its international standing and that has led to the opening of an office in Miami, from which the American market will be approached. With this international growth strategy, Agile Content’s goal is to become an institution of the audiovisual online content management and audience monetization industry worldwide, with multinational present through a network of offices and local partners. The principal axes in which the growth model is based are a policy of advanced innovation and commercialization of proprietary technology; and also a geographical expansion of product and clients. The levers for this strategy are supported in a combination of own value generation and the acquisition of companies that accelerate the innovation and the international standing. Headquartered in Barcelona and with offices in Latin America and Miami, the Company operates in the market since 2007 and in 2014 it reached sales for 8 million euros, an increase of 45% compared to 2013, proving its growth in the market and its evolution. Its technological leadership and potential for growth has been acknowledged in the prestigious Gartner report, which situates the company among the best 18 enterprises in video management international, being the only Hispanic company in the report. Agile’s technology covers all the life span of multimedia content, facilitating media companies, operators and major brands the creation of content and its distribution to any destination from mobile, social media and websites. Agile Content has a broad expertise in the current digitalization environment, highly competitive and that is experimenting exponential increases, where the relevance and content segmentation is key when offering users what they want in each moment and being able to catch their attention with personalized advertising. That is the reason why Agile Content through its bigdata technology, incorporates to its solutions audience bigdata management and analysis, which are critical for the success of digital business. 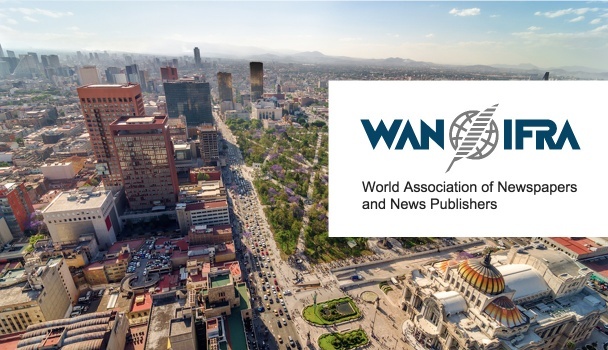 Chief Editors and executives of the most important media groups in the world have shared their digital strategies during two session in the Hilton Hotel in Mexico City. Among the speakers, Chris Moran, the Guardian’s Audience Editor; Mark Lavalle, editor of The New York Times; Antonio Caño, Editor-in-chief of El País; Maha El-Amam, Digital Strategy advisor of Quartz/Atlantic Media; Jeff Javis, Director of the Tow-Knight Center for Entrepreneurial Journalism or Jason Mojica, Editor-in-chief of Vice News, amid others. The event, which was structured in five sessions, has dealt with issues such as the reappraisal of the management of news editors, the business models and design of mobile platforms or the exploitation of audiences and revenue diversification through focus sessions and discussion boards. Agile Content, together with Enreach, was the host of a panel discussion in which the topic of how editors can obtain economic benefits of digital audiences was discussed. The debate, of 45 minutes, was leaded by Guillermo Díaz de León, Chief of Operations in Latin America Kimmo Kiviluoto, CEO of Enreach, has dealt with topics such as audience segmentation, the behavior of users and how to monetize this information. The newspaper 'El Universal' of México, the group El Comercio de Perú or the Mexican consortium Expansión are some of the Latin American media outlets that participated on the panel discussion and that use the solution created by the Agile-Enreach tandem. The product provides this great multimedia enterprises the tools needed to monetize the data of their audiences, helps the editors in predicting the behavior of users and it aids in the creation of personalized content. During the events, current affairs such as the new mobile strategies that carry changes in the production of news, changes in the design of sites and remodeling the business model. Following this thoughts, the discussion led to new sources of digital revenue, where the development of new vertical channels, e-commerce and content marketing strategies where presented and other revenue streams, such as content upon payment, programmatic advertising or event management were addressed. Journalism for millennials was also an important focal point of the event: the new digital narratives have to be innovative to attract attention from the new generations, data journalism and visualization are the most useful tools to renew journalism narratives. During the conference, the Digital Media Awards were presented. They are granted each year to the best projects in data visualization (La Nación, Argentina), best news site (La Nación, Argentina), best new product (Zero Hora, Brasil) or best mobile site (Clarín, Argentina), among others. Agile Content and Enreach Solutions have signed a strategic agreement to distribute an integrated solutions portfolio for the monetization of contents and audiences. Agile Content, a company specializing in technology for digital content management, has entered the share capital of the Finnish company Enreach, a leading provider of Big Data management solutions, in order to combine experience, rigor and efficiency in a product that will revolutionize the industry of audience management and monetization. The investment in Enreach will reinforce Agile's presence in Northern Europe, as well as in the United States through a joint venture created to initiate the activities in Miami. Together, Agile Content and Enreach Solutions have already gained as new customers 6 big mass media organizations. Amongst these we find El Universal, leader in Mexico and one of the most influential companies in the Latin American market; Grupo El Comercio, the main media corporation in Peru and Grupo Expansión, which is one of the main broadcasters in Mexico. Enreach Solutions CEO, Kimmo Kiviluoto has claimed: 'We are pleased to be partners of Agile Content. There are good synergies between the two companies. We share a common vision as regards the necessity of prioritizing the media's needs in our solutions. Over the last six months we have gained several new customers, many of which are market leaders in their fields. We hope to carry on successfully collaborating in the future'. Agile content works with press and television media companies, telecommunication operators and corporations. The recent agreement between Enreach Solutions and Agile Content will allow its customers to use first-rate audience management tools which will increase their revenues thanks to knowing more about their users. With a data-driven and behaviour insights solution it is possible to transform traditional content into customized multimedia experiences and to offer more relevant advertising and services. Agile Content CEO, Hernan Scapusio remarks: 'We have invested in Enreach technology to help our customers to be more efficient at generating revenue. While working in content management for Premium customers, we have seen that most of the digital media's problems are not in the editorial offices but in audience monetization. Media companies need to know their users as individuals in order to serve them better. We believe that by joining efforts with Enreach we will help our clients improve their digital offering'. Agile Content is a technology supplier which provides publishing companies and large brands the necessary tools to be highly efficient in the publishing, distribution and monetization of their content and audiences. 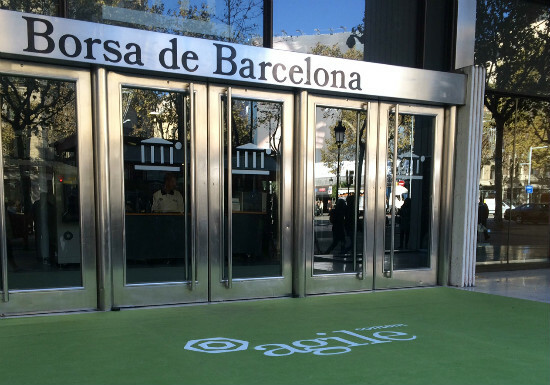 Founded in 2007, Agile has its headquarters in Barcelona, Spain, and offices in Mexico, Brazil and Miami. Its main clients include, among others, RTVE, Grupo Estado, Grupo RBS, Editorial Prensa Ibérica, Claro, El Universal y Grupo Zeta. Enreach collects and interprets data generated by media audiences. Founded in 2010, Enreach has its headquarters in Helsinki, Finland, and offices in Stockholm, Aarhus, London and Miami. Its main clients include, among others, Alma Media, MTV Finland, The Universal, Grupo Expansion, Grupo El Comercio, El Confidencial, Jyllands-Posten, Dagens Naeringsliv, Egmont Publishing, TV2 Norway, and Delfi. Capital MAB, fondo de capital riesgo del Institut Català de Finances, ha sido el principal inversor y se incorporará al consejo de la firma. El Institut Català de Finances (ICF) y cerca de 80 inversores más -en su mayoría, sicavs y family office españolas- han entrado en el accionariado de la tecnológica Agile Content en el marco de una ampliación de capital de 5,3 millones de euros. Capital MAB, fondo de capital riesgo de la entidad pública, ha sido el principal inversor y se incorporará al consejo de Agile, firma dedicada a soluciones para la gestión de contenido audiovisual y big data de audiencias. Ésta es la tercera operación de Capital MAB, que previamente había invertido en AB- Biotics y en Medcomtech, dos firmas catalanas que cotizan en el Mercado Alternativo Bursátil (MAB). Agile tiene entre sus accionistas a otras dos firmas de capital riesgo,Inveready y Fides Capital, que no han acudido a la ampliación. Creada en 2007 por Hernán Scapusio y Mónica Rayo en Barcelona, la compañía ha realizado esta ampliación como paso previo a su salida al MAB, que está prevista para antes de fin de año. La tecnológica, que emplea a cincuenta personas, facturó ocho millones de euros el año pasado, un 45% más que en 2013. Los recursos captados en la ampliación de capital se destinarán a consolidar y potenciar su crecimiento, según informó ayer la empresa mediante un comunicado. A nivel internacional, la firma está presente en doce países de Europa, EEUU y Latinoamérica. Además de Agile, otras dos empresas catalanas están preparando su debut en el parqué alternativo. Se trata de la tecnológica Lleida.net, que es la que tiene los trámites más avanzados, y de Tecnoquark. La empresa tecnológica Agile Content, especializada en gestión de contenido audiovisual y bigdata para segmentación de audiencias, ha cerrado una ampliación de capital por 5,3 millones de euros, según ha informado hoy la compañía. Además, la compañía, que tiene 50 trabajadores y opera en 12 países, quiere reforzar su presencia en el norte de Europa y en Estados Unidos, a través una 'joint venture' (sociedad de riesgo compartido) creada para iniciar la operación en Miami. is a tech Company with video content management and big data audience management solutions under the software as a service (SaaS) model, which allow clients to monetize audiences in media, telecom operators and big Brand advertisers.